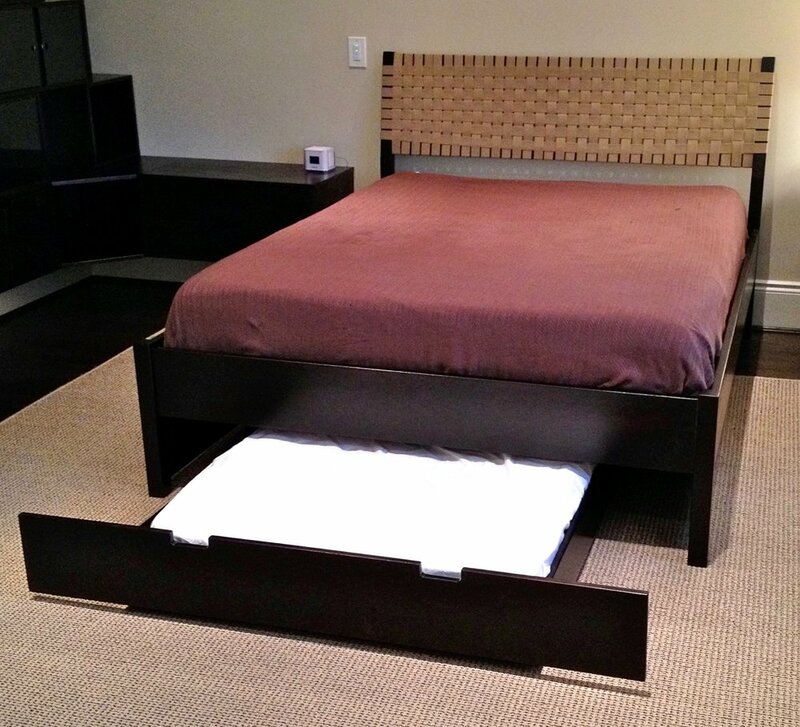 Addison is a queen size trundle bed made for a client in Washington, DC, who needed the trundle to pull out from the foot of the bed. The headboard is made with repurposed seatbelt webbing. This project included asymmetrical wall boxes, an in-wall dresser, and a custom display case for a prized collection of baseballs. Addison is made from maple wood, stained with an espresso finish. It is available in any species. 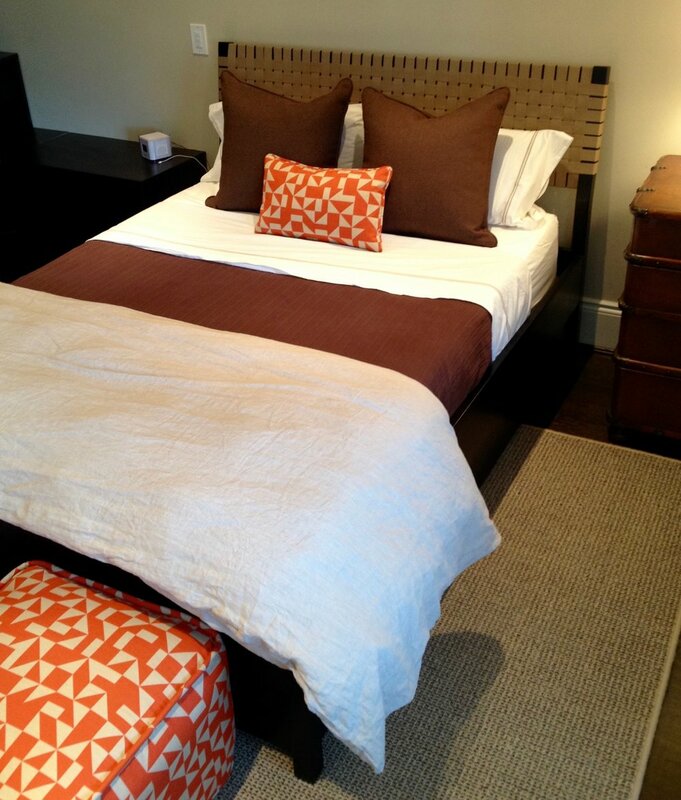 The Addison design can be modified so that the trundle pulls out from the side, and can be made in any size.